A pocket square can be a great way to ensure that you have put together a completed outfit, and look. Puccini knows that you want to look as great as you can, so he has manufactured this line of pocket squares to match his solid colored neckties. 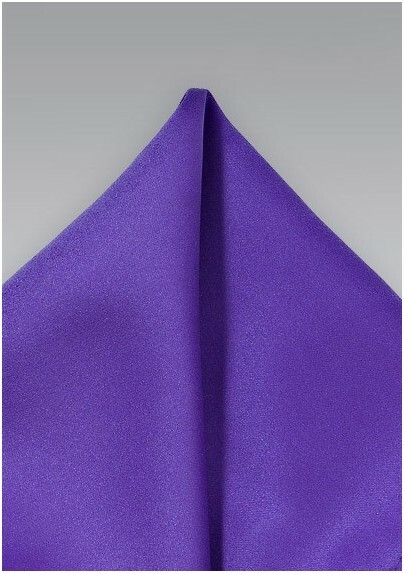 This one is presented in a deep, rich purple for a business oriented look. 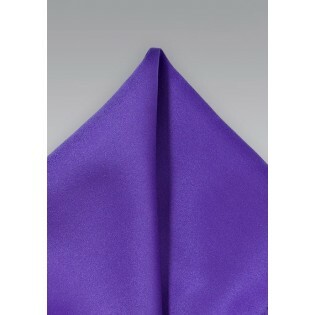 Of course, like all Puccini's products, this pocket square has been woven from a state-of-the-art microfiber fabric that mimics the look and feel of silk, but has a much greater resistance to stains. So, next time your heading out of the house to that high-powered business lunch, take a moment and add your new pocket square to your outfit for a completed look.